1. There was so much talk when Quil imprinted on Claire about how strange that was. How do you think the scene with him helped better explain their relationship? It showed that right now in Claires life he is more like a loving older brother or a babbysitter. It is nothing romantic at this point in time. 2. Did you agree with Quil that maybe Jacob should at least try to date someone? Did you agree with Jacob’s reasons for why he wouldn’t date? Heck yes I did, he should atleast try to be happy. No not really Jakes kinda crazy. 3. Do you think Jacob was right in saying that The Cullens broke the treaty by changing Bella even if it was what she wanted? Or did you totally side with Sam? 4. How did you think Jacob would react when he found out what was the real cause behind Bella’s sickness? Their interaction demonstrated that there was clearly nothing sinister or depraved about that relationship. Still, the imprinting business is uncomfortable. Everything appears to be OK (except for Leah’s broken heart), but then along comes Claire, and suddenly there are a lot of open questions. If there are no apparent lower age limits, are there any upper age limits (25, 30, 40)? Also, Quil is going to be whatever Claire needs him to be when she grows up. What if she wants him to be a lover when she is 15? What if she is younger than that? Would he be able to deny her? Not all girls are like Bella, feeling an attraction only after they turn 17. P.S. Let's all pray for Leah that she doesn't imprint on a 13-year old boy. Quil is just trying to be helpful, Jacob needs to move on. It pretty clear Jacob isn’t, however, until he is forced to through imprinting. I understood both sides. Sam is relying on the spirit of the treaty and Jacob is relying on the specific wording. It showed that there was nothing gross about their relationship, and that it was more of a family-like bond at this stage. It was adorable. I agreed with both. While it may be time for Jacob to move on from Bella, I understand that there's no one that would interest him nearly as much as she did. I think that the treaty is outdated by this point, so I don't see anything wrong with what happened with Bella. I always "got" the imprinting thing, so it wasn't a big deal for me. It was nice to see them together, though. I think that it's wise advice. But I can understand why Jacob would find it hard. I think it's necessary though, that at this point he should be moving on. Easier said than done, of course. I agree with Sam. The reason that the restriction exists was because someone's life would be taken away from them against their will. That's clearly not the case with Bella. She wanted it, and was fully aware of the consequences. She is hardly a victim. Pretty much as he did react. You now totally get that it's not a weird love-thing. It's a sweet unconditional love. I totally sided with Sam, but maybe that was because I was mainly on Bella's side and wanted the treaty to stay intact. I thought he'd get mad. Alphie wrote: 1. There was so much talk when Quil imprinted on Claire about how strange that was. How do you think the scene with him helped better explain their relationship? Yeah, lets face it, Bella is basically a lost cause to him romantically by now! I can see Jakes point, it's always hard to move on from someone you love, no matter the circumstances! Technically, he is right, they broke the treaty! However I sided with Sam, Bella chose this, who are the pack to take away her free will!? I thought he would be furious and upset. The reaction was about the one I expected, because I knew he would be afraid for Bella. It helped to define the relationship that Quil had with Claire. When i first read about it, i reacted like Bella. I felt that it was a little creepy and wrong, but in BD, Quil's devotion to the toddler was astounding. It showed Quil as a protective brother, not some sort of creep. I think Quil was right to suggest that Jacob find somebody else. Jacob's constant obsession with Bella was certainly unhealthy, particularly as Bella had chosen Edward to live her life with. But then i also understood why Jake didn't want to date. How could he when all he could think about was Bella? I side with Sam. The treaty was written from the point of view that the human didn't want to be changed; that the Cullens would act against that person's will. Bella *wanted* this. 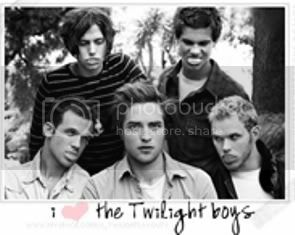 And Sam had seen enough of the Cullens through Eclipse to know that the Cullens are benevolent. I thought he would phase right then and there in the Cullen's house! But i also think a part of him would feel relieved. Yes, Bella was pregnant, but she was still human and if she was carrying a baby, she would remain human for the near future. I think it really underlined the point that imprinting on a young child like that is NOT pedophilia. It's a little odd to find your soul mate or whatever that early, but it's not like the wolf is just sitting there going, "Oh yeah baby, in fifteen years or so..."
Yes and yes. I could see both sides, I guess. I thought Jacob could have made more of an effort to get over Bella since she was married to someone else and all, but it had only been a month or so. He needed more time. No, I was on Sam's side. Bella made her choice and knew what she was doing. She wasn't just some human one of the Cullens grabbed off the street. About the same as how he did react.